When OVH announced its own cloud storage product in September 2011, it was positioned as the cheapest cloud ever: more affordable than Dropbox yet out of the US territory as it was hosted in France, a country with one of the most restrictive privacy laws. hubiC was billed as the ultimate affordable secure storage and backup solution. And the service was not offered by any random unknown startup; quite the contrary. 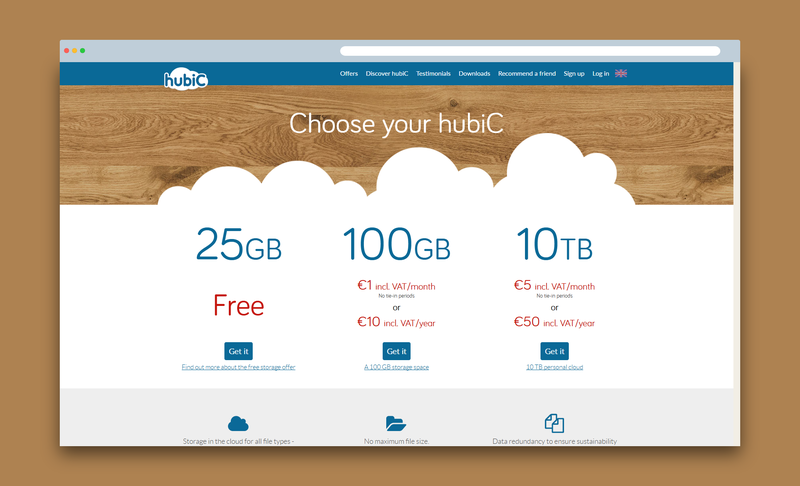 hubiC was created by OVH, the leading French web-hosting business that offers everything from shared website hosting, xDSL lines in France, to VPS and dedicated servers. But from the get-go, hubiC was very different from the other products of OVH's line: it was marketed both to individuals and small businesses alike. Imagine the perfect place to keep your files and documents safe from hardware crashes and viruses, with a generous space yet cheaper than any competing service. What about the name? Hubic was in fact supposed to be always written as hubiC with a capital C, in order to remind everyone of the meaning: "Your Hub in the Cloud". Compared to most cloud storage offerings, hubiC's 5 bucks a month for 10TB of online storage are dirt cheap: no other provider matches that pricing, except if you factor in the "unlimited" online storage providers such as JottaCloud, the defunct Bitcasa, or SpiderOak's super rare special offers. Both the Windows and Android Hubic clients haven't been updated since 2015 - and they are rife with bugs. Random crashes. Random file skipped. However, salvation comes from the openness of Hubic's standard. 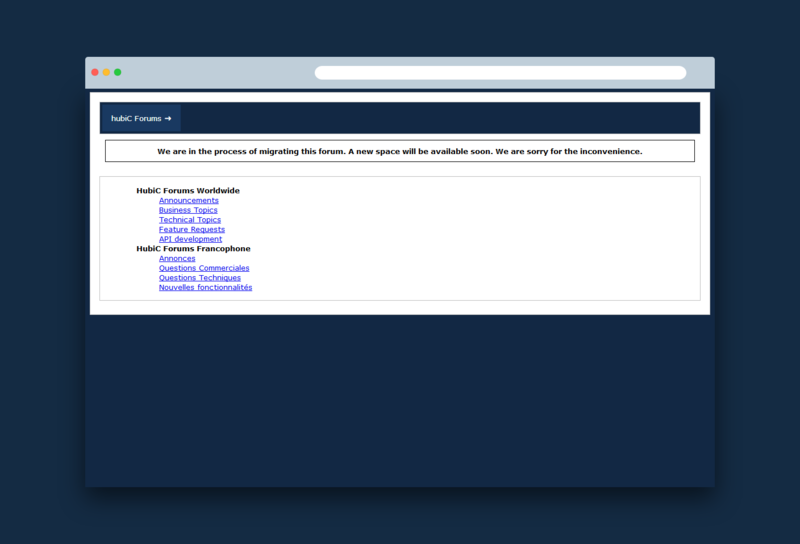 Under the hood, Hubic is an implementation of OpenStack Swift. This open-source protocol makes it compatible with free alternative clients such as Cyberduck / MountainDuck or SwiftExplorer. For Cyberduck, you'll just need to download the special hubiC profile for Cyberduck and authenticate from your browser. This will generate your API key that you can copy-paste in Cyberduck. Still, even with Cyberduck, you might encounter errors during your data transfers, as sometimes it is the underlying OpenStack Swift system that throws out 504 codes and other niceties. 10Mbps is all the bandwidth you will ever be granted when using hubiC - be it for uploading or downloading files. This limit is neither accidental nor for technical reasons; your experience is rather limited by design. The bandwidth is limited to 10 Mbit/s upstream and downstream. The connection speed also depends on the quality of the Customer's internet connection. Most cloud providers have a kind of support website filled with help articles and FAQs, often based upon Zendesk. This is not the case for hubiC. The forum has been closed for years, awaiting an hypothetical migration, and support by email never replies. Unfortunately, Hubic does not keep your files intact. More often than not, requesting a ZIP of your files stored in Hubic will result in a compressed folder with a malformed data stream - basically useless gibberish instead of your files. Even worse: HubiC does not check file integrity during the upload phase. You may be lulled into a false sense of security - thinking that your files are safe and sound on HubiC - but sometimes this is just plain wrong, as there is no way to make sure your files have been uploaded successfully and thoroughly; this issue may only arise when you need them the most.